The rainbow-haired IT girl Irene Kim has finally launched her own label IRENEISGOOD! Based in South Korea, IRENEISGOOD Label is a brand inspired by Irene Kim’s mantra, #GOODFORYOU. 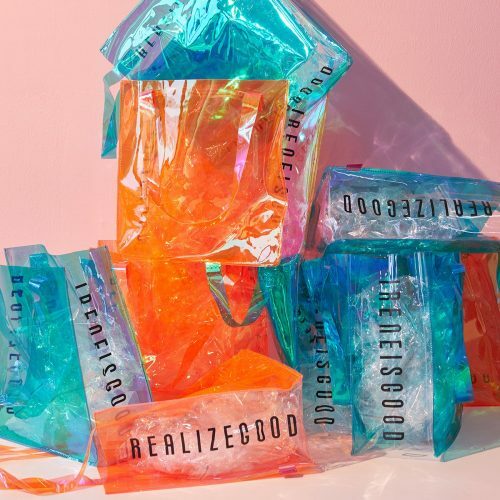 Fueled by Irene’s belief that the world could use more expressions of love and encouragement, IRENEISGOOD Label hopes to empower people to stay true to oneself and embrace one’s individuality. The label consists of basics and accessories with a twist, influenced from Irene’s signature off-duty look – edgy with a feminine flair. Head over to ireneisgood.com for some feel good vibes! IRENEISGOOD ships within South Korea in 1-2 days for only 3,000 won, whereas the express shipping to Singapore costs USD $20, so sign up with us to gain access to our Korea warehouse!